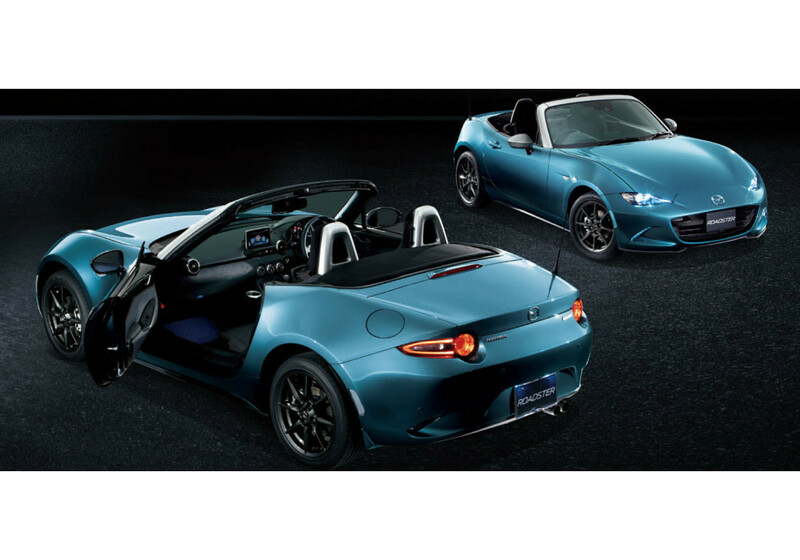 Roll hoop (OEM roll bar) cover made by Mazda for the Japanese market 2016+ ND Miata. These covers come in a bright silver finish and go over your stock hoops. 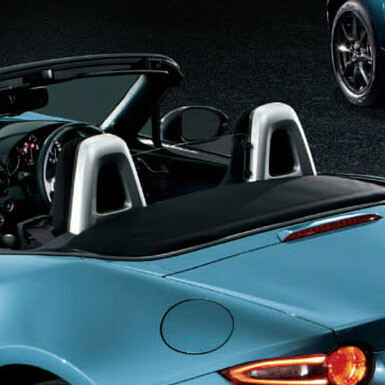 A great and classy looking accessory for your Miata. They are replacement of the shiny black piece, easy to install. 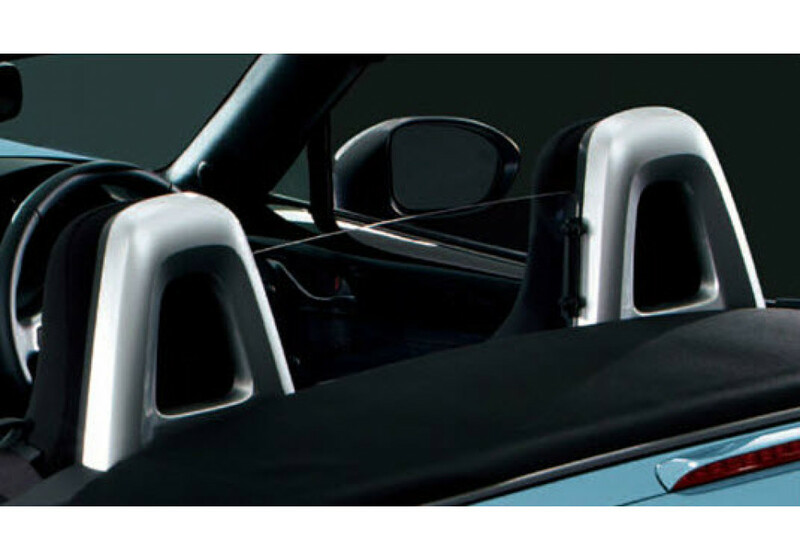 Mazda Roll Hoop Cover should be ordered at REV9 Autosport https://rev9autosport.com/mazda-roll-hoop-cover.html as they provide the best service and speed we've seen so far! Do the hoop covers come with the clear raised center wind-deflect as soon and will it fit the US model? No, it is only for the silver roll hoop covers.